 Rose City Rollers is proud to recognize Fleur de Lethal as our November Gold Star Volunteer. If you started your derby journey in Derby 101, chances are you’ve been coached by Fleur de Lethal. Her style of coaching is the perfect combination of guide, mentor, and no-nonsense, fostering a sense of courageousness and can-do attitude for skaters. Her contributions to the league don’t end with coaching – She has done a little bit of everything, including NSOing. We are so happy she is our November Gold Star and excited to see what the future holds for her with our league. What was/has your favorite volunteer experience been? Getting to work this past year on the new league MSR system has been incredibly rewarding. I love seeing the entire league work together to problem solve and grow and move forward in this sport. 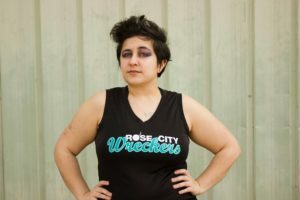 I am so very proud of everything we have been able to accomplish and I feel like RCR is a true leader in the world of roller derby, not just through our skaters’ skills, but in our ability to function cohesively as a large league and leverage the strengths of our members to be the strengths of our league. What has being in RCR volunteer meant to you? This sport and this league have given so much value to my life, that volunteering is a way I can give back and also help support the journeys of each new wave of individuals who come to RCR to find strength, support, community, and engagement in their lives. It takes a village to raise a league and we are so much stronger together. Is there anything RCR could do better for its volunteers? Some of the most rewarding volunteering I have done with RCR has come from me recognizing areas of improvement and finding ways I can use my strengths to help create the growth I am passionate about. Things change in this league when people are passionate about the possibility of growth and are willing to do the hard work to get there. I think sometimes with a league of this size it’s easy to feel like it’s too large for anyone to have an effect on it, and that can be frustrating or demoralizing for folks who see the things in the league that are not so great, who are waiting for RCR to fix the issues. I want RCR to continue to message the reality that all league members are capable of affecting the change they want to see and it is the responsibility of ALL of us to step up and help move RCR forward. It’s easy to get burned out being in one role for too long, and I think it’s important to share the load and shift tasks frequently to make sure I, as a volunteer, am always excited and passionate about the work I am doing, and enjoying my engagement, so I can always bring my best self to my volunteerism.